Founded in 2010, the Metals Collective has produced over 10 group exhibitions, featuring over 20 different makers. For each show, a theme or historical object is selected for participating members to respond to. 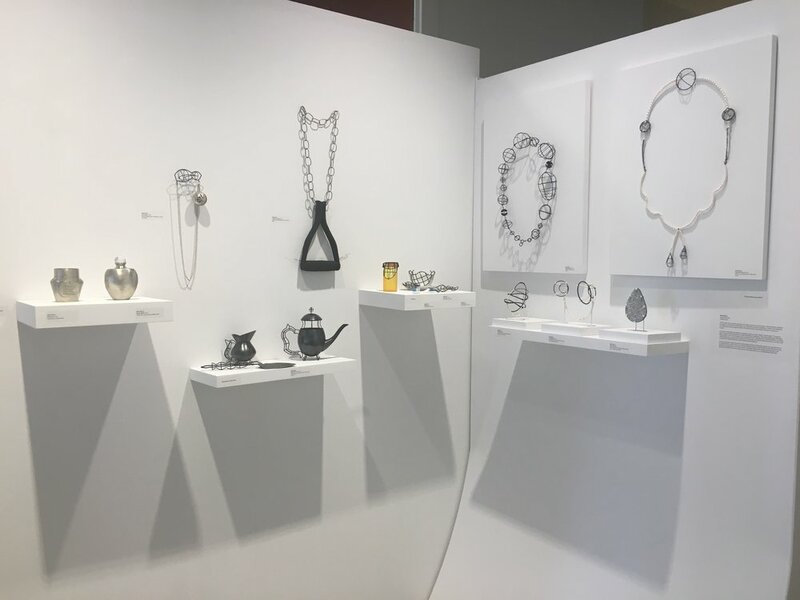 Through the collaborative nature of the Metals Collective, each artist is encouraged to create work that is outside the bounds of their regular studio practice, resulting in individual artistic growth. 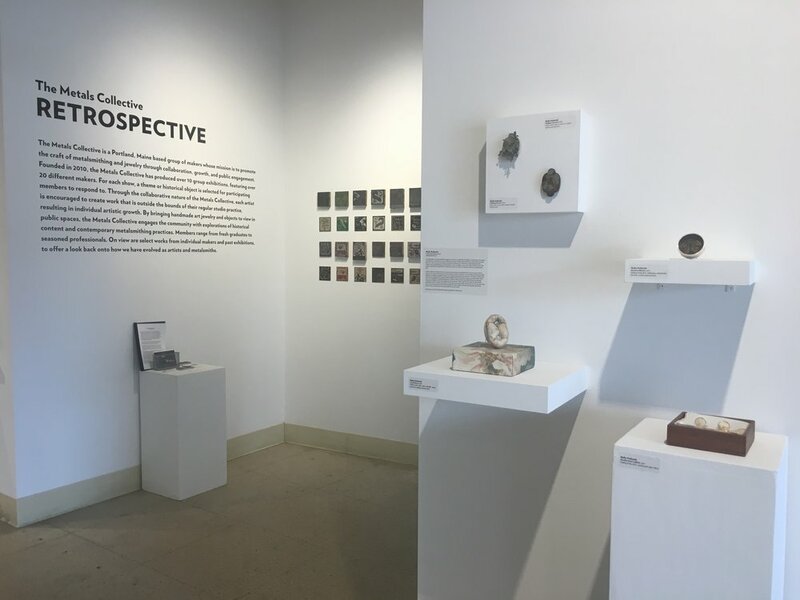 By bringing handmade art jewelry and objects to view in public spaces, the Metals Collective engages the community with explorations of historical content and contemporary metalsmithing practices. Members range from fresh graduates to seasoned professionals. Shelby Goldsmith earned her BFA in Metalsmithing & Jewelry ('14) from Maine College of Art, where she went on to work as a Continuing Studies studio technician & instructor. She is an active core member of the Metals Collective*, for which she serves as the secretary. She resides in Maine, where she is working on building her own studio practice. Having recently received a Belvedere Fund to outfit her home studio, she is working on converting her antique hayloft into a workspace.